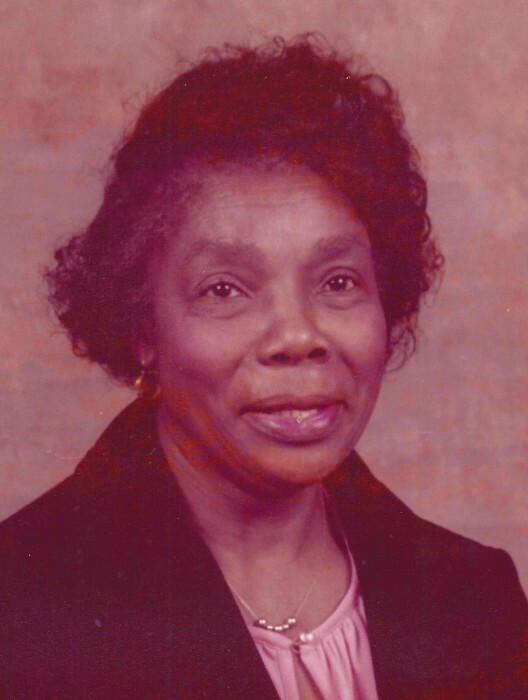 Mother Louise Moore Richardson, 96, departed this life on Saturday September , 2018 at her home in Marion County. She was the mother of Mary Joyce Holmes. You may visit the family at 558 Paul Richardson Rd. Gresham. Wake services are scheduled to be held at the Jackson & McGill Memorial Chapel Friday September 7, 2018, 6pm-8pm. Funeral services are scheduled to be held at the Bethel AME Church, Britton's Neck, Saturday September 8, 2018 at 11:00am. She will be laid to rest in the Old Neck Cemetery, Britton's Neck. Louise Moore Richardson age 96, was born May 26, 1922 in Britton’s Neck, SC to the late Gary and Mary Genwright Moore. She departed this life, September 1, 2018 at 3:45 am, at her home 558 Paul Richardson Road, Britton Neck SC. She was married to the late Lacie Richardson for 60 years. The Lord blessed them with two children, Mary Joyce Holmes and the late Leon G. Richardson. She moved away from Britton’s Neck, SC and worked in various factories in Virginia (Pie Factory), Chicago (Drapery factory) and Florida and Marion, SC. Upon returning to Britton’s Neck, she worked on the family farm and eventually accepted employment with Marion County School System. She worked in the school cafeteria at Bethel Elementary and High School until her retirement. She was a member of active member of Bethel AME church serving on the Steward Board, Senior Choir, Sunday School, Senior Usher Board and the Kitchen Committee until her health declined. She was an active member of the Hettie Chapter #314 Eastern Star. She was a person that enjoyed cooking and feeding people. We were often awakened with the magnificent aroma coming from the kitchen, during the holidays. Her holiday stuffing was a community favorite. She would graciously prepare enough food to share with many members of the community and church. She took much joy in preparing Sunday dinner for the leaders of the church. She also took pride in caring for her yard. She could often be seen working in the yard until her health would no longer permit.